In this session with David, we discover how Christ reveals his supremacy by his saving presence among his people. Christ sets up his throne among us. By his Spirit he dwells within us, reproducing in us his godly characteristics, his inexhaustible wisdom, the fruit of His Spirit (Galatians 5). Jesus transforms us individually and corporately to become more like him, helping us overflow with his love for the Father and each other. Christ unites us by his reign among us. Paul writes in Colossians 1, “Christ is in [among] you, the hope of glory … I ask God to fill you … (you) share in the inheritance of the saints in the kingdom of light … (so) live a life worthy of the Lord”. Right now in so many ways, our life together is bound around Christ supreme. 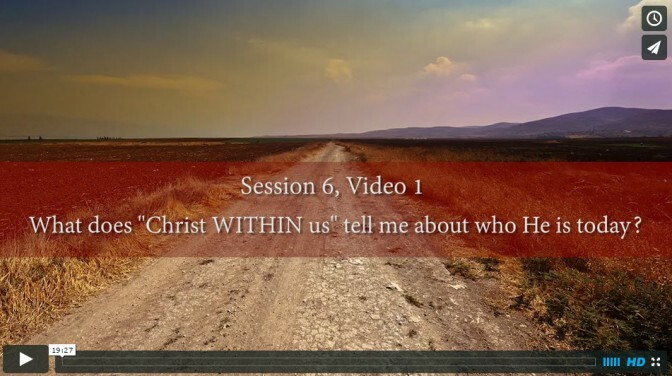 What does “Christ WITHIN us” tell me about who he is today? How does Christ reign within us individually and corporately? How does the biblical narrative highlight Christ within? How does the New Testament talk about Christ within? What is the role of the Holy Spirit to give us Christ within? Is Christ in every congregation?